Sparking memories of my childhood was Troutbirder’s post here yesterday about the neighborhood of his younger years in St. Paul, Minnesota. His adventures of traveling alone at a young age on the city’s trolleys reminded me of the city buses I grew up with. The freedom that allowed him to travel alone is rarely available to young children these days. 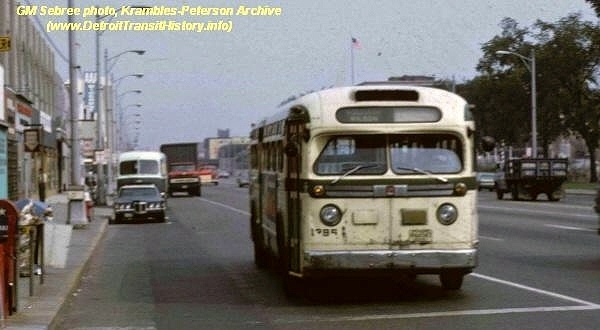 Even though my childhood home of Hattiesburg, Mississippi, was a tiny city compared to Troutbirder’s St. Paul, it had a robust bus service in the 1950s and early 60s. My use of that service the summer I was about 12 years old sticks with me. Once a month during that summer, my father entrusted me with a meticulously organized packet of bills and CASH. He sat me down and carefully explained what each bill was and where to pay it. He told me that he was saving money by paying me 10 cents a bill instead of paying by mail with the associated cost of stamp, envelope and check. I didn’t realize then that the 10 cents per bill was really no bargain for him. The bargain was financial training for his clueless daughter. On my bill-paying trips I boarded the bus at the end of our street and rode all the way to the stop in the center of town. That was about 1959, and at that time our vibrant commercial center was fairly compact and well within my ability to walk to all the places where I needed to transact business: power company, City Hall to pay the water bill, a bank to make a deposit. My father had several rental houses, and on my first outing I successfully made the month’s payment for one of those little houses at a mortgage company. The next bill was a payment on another rental house at a different financial institution. There I ran into a snag. My father had not mentioned that the amount he gave me for that month’s loan payment was more than the amount due. I had no idea what I was supposed to do. The young lady taking my payment suggested I put it into the escrow account. I realize now that she was young, probably in her 20s or early 30s. At the time I thought she was quite ancient and a font of financial wisdom. My father was not pleased when I reported back about putting the extra cash into escrow. He pulled out a long, printed list of dates and columns of figures. He proceeded to introduce me to the amortization schedule for the loan on that property. By the end of Daddy’s Mortgage 101 session, I had grasped the fact that in the early days of paying off a home mortgage, a little bit of extra money applied regularly to the principal could make a huge reduction in the total cost of the home. Putting that extra cash in escrow had been totally superfluous, and I understood why my father was so adamant about applying the extra to the principal. My bill-paying bus rides ended when school started back in September. But I never forgot the lessons learned, and as an adult I am thankful for my father’s creative teaching and for the other sensible money-management precepts my parents drilled into me and reinforced by how they handled our family finances. Note: It seems I remember a little more green on the buses of my childhood, but maybe not. My memories are good, but my memory . . . not so great! You got an amazing class on finance from your dear dad while riding the bus and doing the errands. Your father was a very wise man. He gave you a sense of independence, confidence, and money management. I grew up with buses and streetcars! But the swaying motion of the streetcars made me really sick. 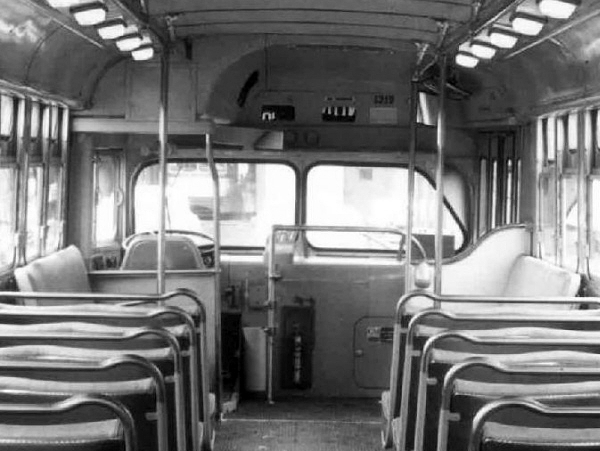 my cousin and I rode buses when we were children, just like these photos. we started when we were 10, going into town to the saturday movies. but we never paid bills. what an adventure for you and a learning experience. a great way to learn. and you never forgot it. the reason we could retire at 62 is because we paid a 15 year mortage off in less than 10 by paying extra. Goodness, today you would be mugged carrying cash on a bus. What great lessons in responsibility you learned and also the gem about paying extra on the mortgage. Smart. I always did that when I had a mortgage. Long-ago lessons stay with us. What a great life-teacher your father was. I love that last line. That is a keeper. It describe how I feel so often. Your father was an amazing man to give you this responsibility. You were fortunate to be able to do this. Your post and Troutbirder's certainly awakened memories for me and my bus riding days of my youth. Yes we were so fortunate in those days. We had the roam of the town. Things were much different then. Your Daddy was an amazing and wise man. Important lessons learned for your life time. When I think of every place I went as a 10 or 11 year old...whew, we could never do that now. What a sad comment on society today. I rode my bike everywhere. We didn't have a great bus system in the suburbs where we lived, so I rode my bike to the store, parked it outside and it was there when I came out, put the items in my basket and rode merrily home. What a nice memory. What a great teacher your dad was! It is remarkable that you have such great memories of your childhood. Your father was very smart to teach you about amortization. How blessed you were to have had this opportunity to learn about finances from your father! I had to learn the hard way--by trial and error.